Kreisha Ballantyne makes the case for making every flying hour one to remember. Allow me to take you back to the mid 1980s. We’re in Wales looking at a bunch of teenagers, in school uniform, sitting on hard wooden chairs outside the school careers office. If you look carefully, you’ll see a skinny girl with crazy hair and stripy socks. She’s talking, non-stop, to the boy next to her (who will eventually become a real estate agent) about her passion, which isn’t Simon Le Bon from Duran Duran, or magenta mascara—it is, of course, aviation. Fifteen minutes later, we watch her exit the office, bearing a heartbroken look. She tells the future real estate agent that she will never become a pilot because she’s just been told she’s not clever enough. It was suggested she become cabin crew, or perhaps a travel agent. Based on the advice of this so-called professional, that girl went on to study the arts and became a writer, shelving her plans to learn to fly for the next twenty years. She also grew up with a phobia of any kind of advice-giver. Returning to present day Sydney that very same girl (although ‘girl’ is probably an incomplete description of her, these days) is sitting in her favourite writing position, with a cat on one side and a giant mug of tea on the other, reflecting on the benefit of hindsight. There’s a laptop computer in front of her, bearing the subject of the story you’re reading right now: How to get the most out of your pilot’s licence. Lost in reverie, she turns to her cat and says, ‘oh bonanza, how different my life might have been had I learned to fly when I was sixteen.’ The cat ignores her as she reaches over him for her logbook. It reveals 800 hours of flight time, over 18 kinds of aircraft, and aboard more than 40 different types. She has aviation to thank for opening the window to travel, to understanding weather, physics and mechanics. Indeed this once self-confessed techno-bimbo has successfully grasped the finer points of glass cockpits, electronic flight bags and most importantly, aircraft engines and controls. Learning to fly has developed this girl into a broader, braver, and better-informed person, all round. And so, with the benefit of 20:20 hindsight, here’s how to get the most from your pilot’s licence. There’s a safety angle to this too. Experience is rightly venerated as the major foundation of safe flying. Every hour you fly rubs off on your aeronautical decision-making skills, but not at the same rate. Hours and experience are not quite the same thing. Think of the helicopter survey pilot making 15 landings an hour, compared to the long haul airline pilot racking up hours where almost everything is ‘on the automatics’. They’re both gaining experience but the meter ticks over at different speed in different situations. The point is to put as much experience in your hours as you can. Fly, in everything: Whether you’re a student pilot or a 12,000 hour airline captain, there is always an opportunity to fly in other people’s aircraft. My first ‘free’ flight was in a Beech Bonanza, which I scored in exchange for helping the owner wash his prize machine. Since then I’ve flown in Tiger Moths, PC12s, RVs and all manner of helicopters, just by asking if there’s a spare seat. Pilots love sharing their machines, and the best way to keep learning is to fly with other competent pilots in as many aircraft types as you can. Get on the web and study the Bureau’s interactive weather models and aviation climatology guides; look at the weather, even from home, and correlate what you see with forecasts and met reports. Talk to air traffic controllers about their work; study phraseology and be your best on the radio. 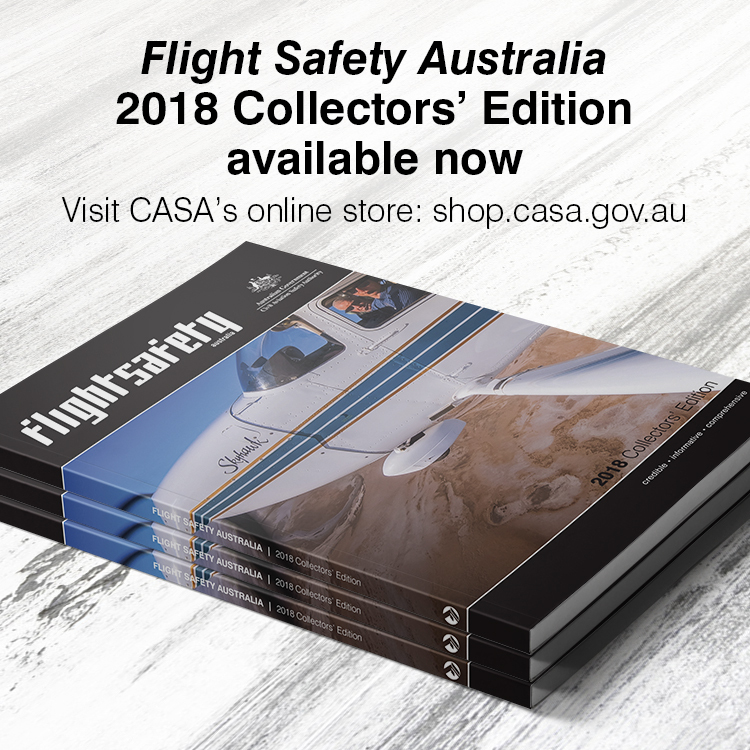 Consume aviation safety reports, and share your thoughts and experience with other pilots. Take an advanced handling course in your favourite aircraft. as a pilot and add depth and breadth to your existing skills. Spend some time in an aircraft maintenance hangar and learn how things work. Connect, with people. Despite continuing automation, flying is still a people business. And whether you love it or revile it, social media has become one of the most essential ways of bringing people together. Whatever the platform, be it Facebook, Instagram or the numerous aviation blogs that are ubiquitous now, social media will inform you of events, allow you to locate aircraft parts, find a spare seat on an empty aircraft or learn about wing repairs for fabric aircraft. Yes, you need to be discriminating before accepting what you read and hear, but that’s also true of hangar-talk and airport cafes. Similarly, join a type club, an aero-club, or an association. Meet others with similar passions, learn more about your aircraft type and take advantage of club events, whether they’re fly-ins, seminars or workshops. Find (or be) a mentor. No one is an island; we’re social animals who learn and develop by engaging and connecting with others. Share. Split an aircraft with other pilots. Not only is this a great cost-bearing strategy, it’s a terrific way of learning from others. When I had the great fortune to be part of a syndicate, I developed a whole new set of skills in terms of aircraft maintenance, care and management. Volunteer your time and skills to help others: charitable organisations offer opportunities to help in the air and on the ground. 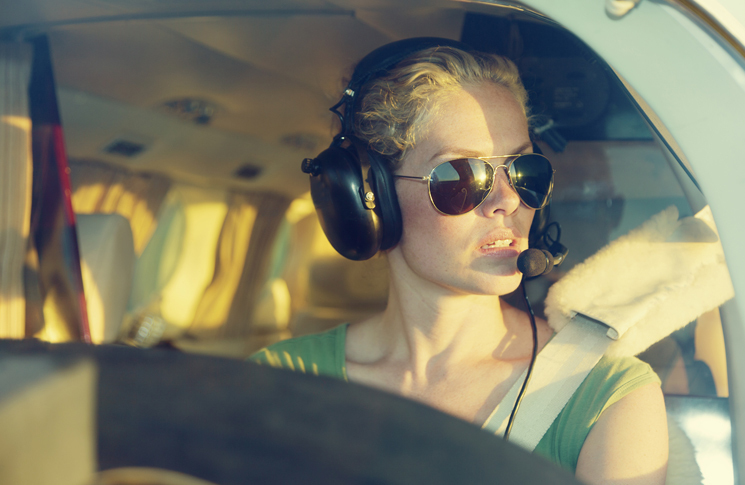 Pilots who meet the relevant requirements, and have a passionate commitment to safety, find that extending their generosity to others brings very special rewards. Take a big trip (or two, three or more). Consider an organised air-safari, or extended GA-facilitated touring holiday with someone special. I had the great opportunity to fly a safari as a new GFPT. Not only did I discover parts of Australia I never knew existed, I learned so much from my fellow pilots, especially about flight planning, pre-flighting and advanced navigation. Combine your other interests with aviation. If you’re a photographer, writer or film-maker, flight brings a whole new perspective to your subjects, you engage with a wider audience, and is a great way to merge your skills. So there’s my five … although I nearly forgot: avoid blinkered, myopic, uninformed ‘advice’. Like my short-sighted careers advisor, people outside the industry are often poorly misguided when it comes to advising others on a flying career. Had I conducted my own research, I would have realised that I had a myriad of options in learning to fly, way beyond the traditional airline pathway, including learning to glide, or joining an aeroclub. Allow me now to take you back to 2012. I’m back in Wales and it is raining. I have proposed to find the careers officer from the mid-eighties, with the intention of taking him for a life-changing flight in a lesson to never underestimate one’s students. Fortunately for him, he’s dead. i had a similar careers adviser. He was clueless, and couldn’t see beyond trade qualifications. To him, professional qualifications didn’t exist – I suspect because he had the lack of respect for the professions that is typical of people who are incapable of getting into a profession. It makes you wonder what qualifications are needed to become a careers adviser. Or is it simply a “short straw” job that nobody really wants to do, so they don’t have the ability to inspire people and help them follow their dream. A good read that was:-) It still applies today but the opportunities are not there like they used to be in the 70 & 80’s, GA is all but dead with only the RA surviving so that career path of GA charter is dwindling rapidly. Our regulator has all but killed off GA (remember safe skies are M/T skies). Everything in aviation revolves around one thing, MONEY, it’s such a costly venture these days & one that’s now very unsecure, the days of getting into the Airlines & remaining there for life are tenuous at best. Flying for fun is simply expensive & only for those that have good disposable income. I’ve had a good life with flying (now retired) but at school when I was at the bottom end of the academic scale the idea of being a plane driver was the furthest thing from my mind, funny how things world out, one thing lead to another, from a car trade to A/C engineering to A/C refueling to Airline flying, it’s been an interesting ride, one I doubt would get duplicated again due far less opportunities these days.